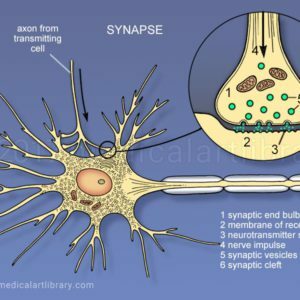 All nerve cells (neurons) generally consist of 4 parts: the cell body, dendrites, an axon, and synaptic end bulbs. The nerve impulse flows in one direction. The dendrites receive incoming nerve impulses from other neurons, and the axon transmits the impulse to another neuron or receptor. The axon varies in length. It can be just a few millimeters long such as the interneurons in the brain, or over 3 feet long as a motor neuron from the spinal cord to the toes. 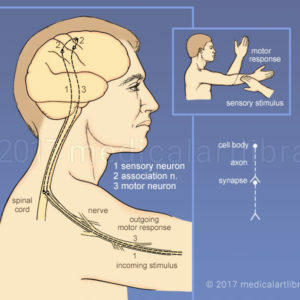 Nerve axons can be surrounded by a myelin sheath, which contains a white fatty substance called myelin. 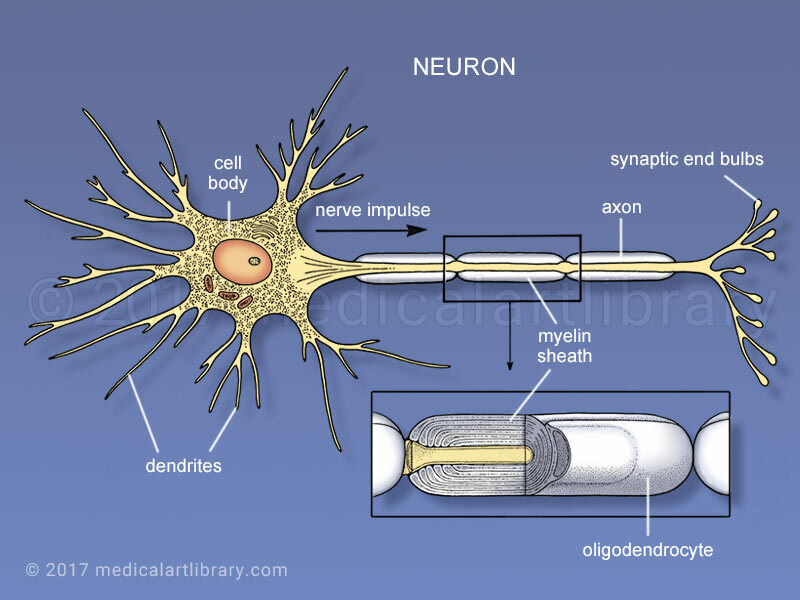 The myelin is formed by a cell called an oligodendrocyte which wraps itself around the axon in layers. The sheath insulates the axon from other nerve cells and helps increase the speed of the impulse. Certain diseases such as multiple sclerosis and Tay-Sachs disease are related to the destruction of myelin sheaths. 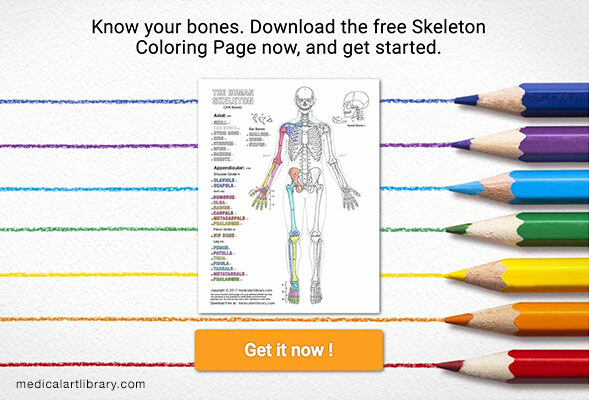 The gray matter of the brain and spinal cord consists of millions of nerve cell bodies, whereas the white matter consists of myelinated nerve cell axons.